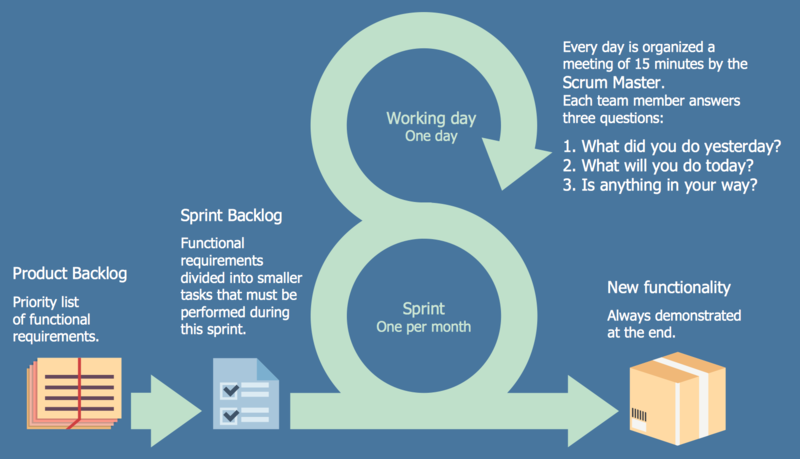 What is Scrum? Scrum is the famous agile software development methodology which depicts an iterative and incremental approach for the work on the complex projects. The Scrum's possibilities are endless, along with software development It is also successfully used for any other innovative scope of work. ConceptDraw DIAGRAM diagramming and vector drawing software extended with SCRUM Workflow solution from the Project Management area of ConceptDraw Solution Park is perfect for drawing various types of professional-looking Scrum Charts, Scrum Workflow Diagrams, Scrum Mind Maps, Scrum boards and attractive Scrum Infographics. 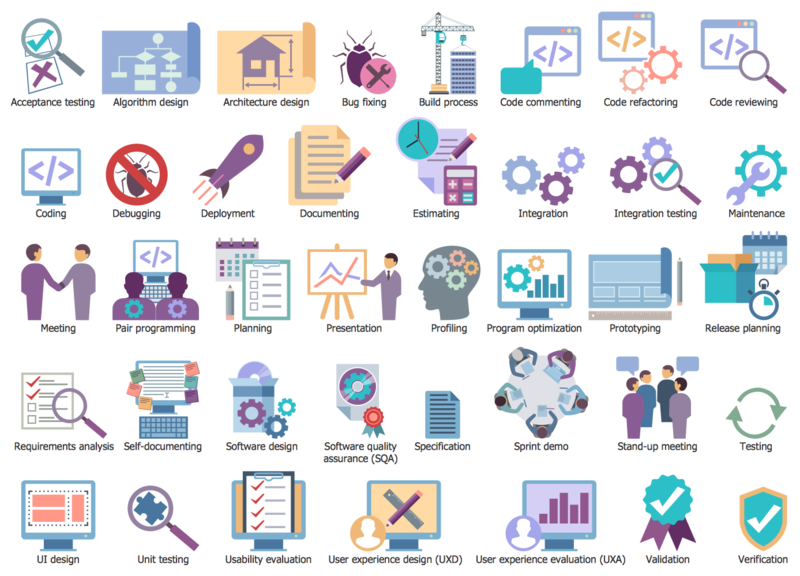 SCRUM Workflow Solution provides numerous collection of Scrum samples and examples, and 8 libraries with large variety of ready-to-use scrum design elements and live objects. 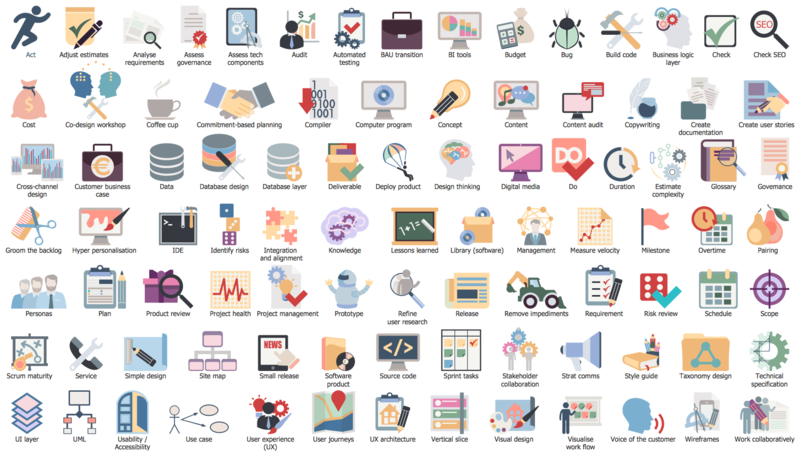 All these objects are vector and ready-to-use, simply drag desired of them from the libraries to your document to design your Scrum diagram in minutes. 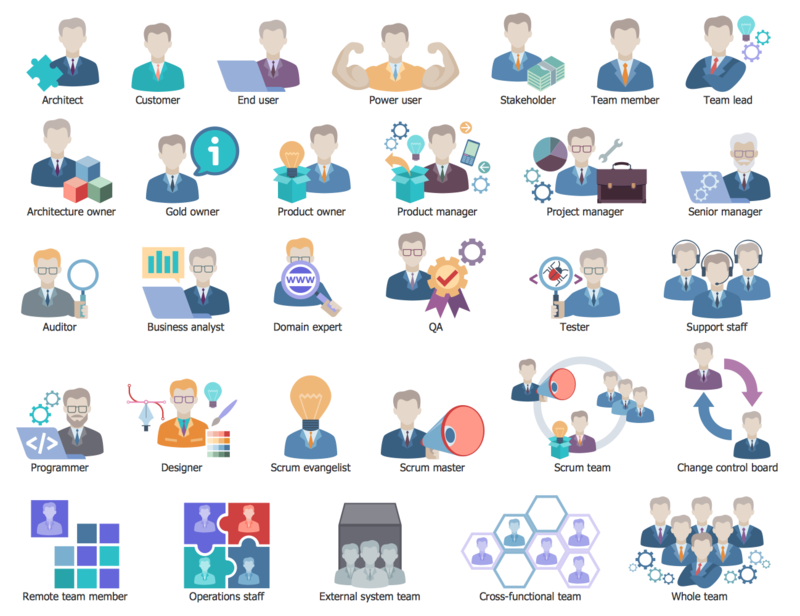 The first Scrum definition was given in 1986 by Hirotaka Takeuchi and Ikujiro Nonaka in the New Product Development Game. 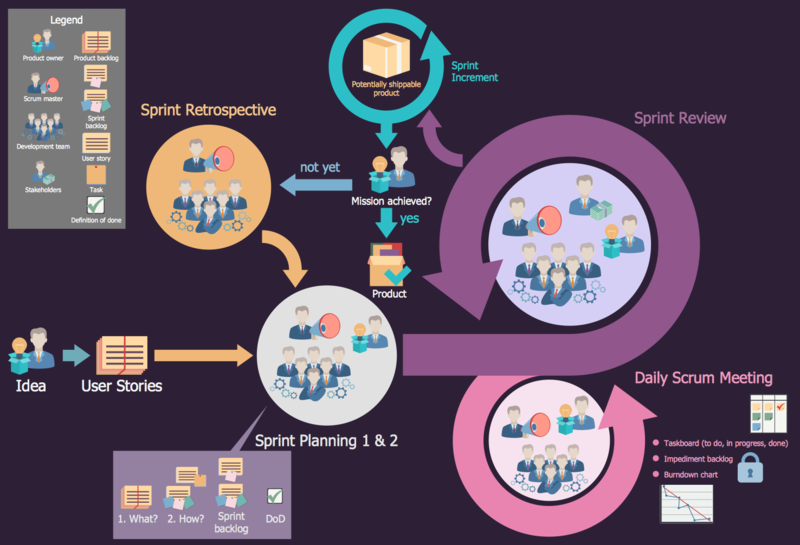 They defined the scrum as "a flexible, holistic product development strategy where a development team works as a unit to reach a common goal". Now, Scrum is a widely used methodology which allows the team quickly react and adapt to the changing market conditions and new technologies, and accordingly to the changing needs. At this moment is used large quantity of different methodologies for effective management of people, companies, processes and projects, Scrum is one of them. Scrum is successfully applied at the process of software development and creation of informational management systems. 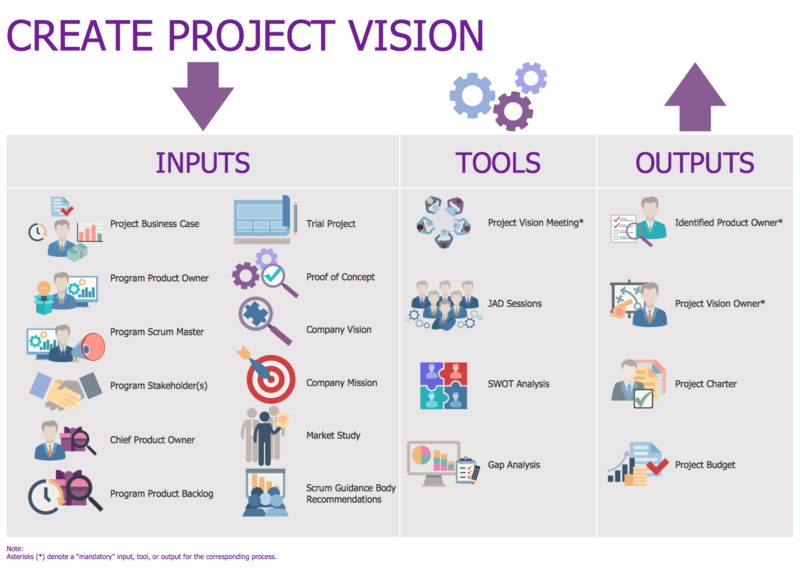 Regardless that Scrum methodology appeared relatively recently, it immediately received great recognition because it is an universal project management system that lets to obtain high values of efficiency and development when spending the minimal resources. 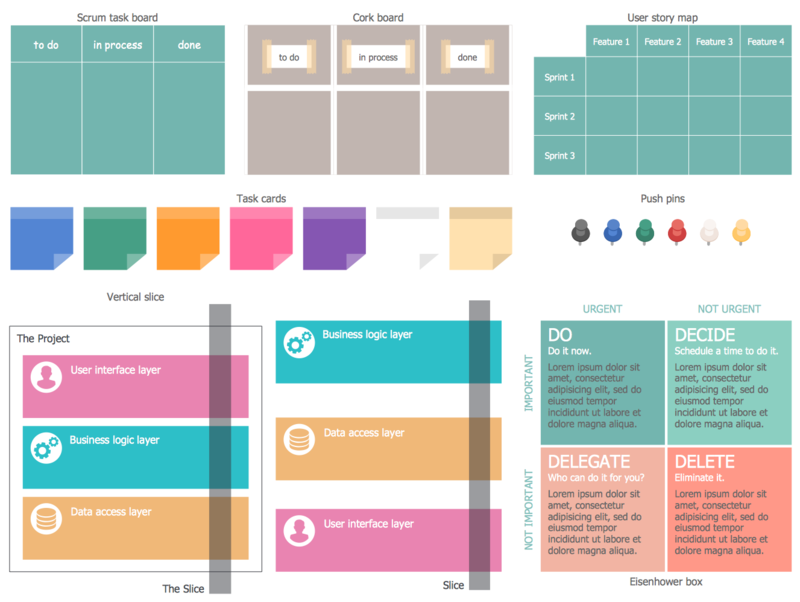 The samples you see on this page were created in ConceptDraw DIAGRAM using the SCRUM Workflow Solution for ConceptDraw DIAGRAM These Scrum diagrams successfully demonstrate solution's capabilities and professional results you can achieve. 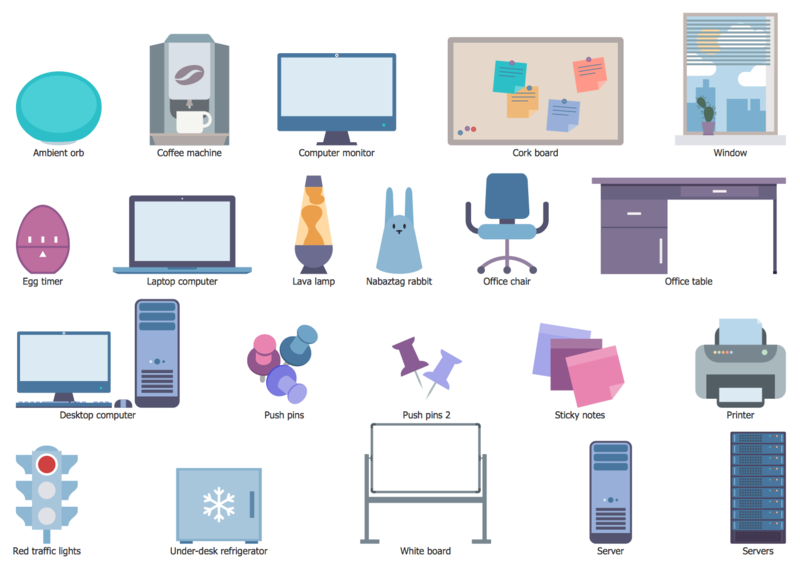 An experienced user spent 10-15 minutes creating each of these samples. 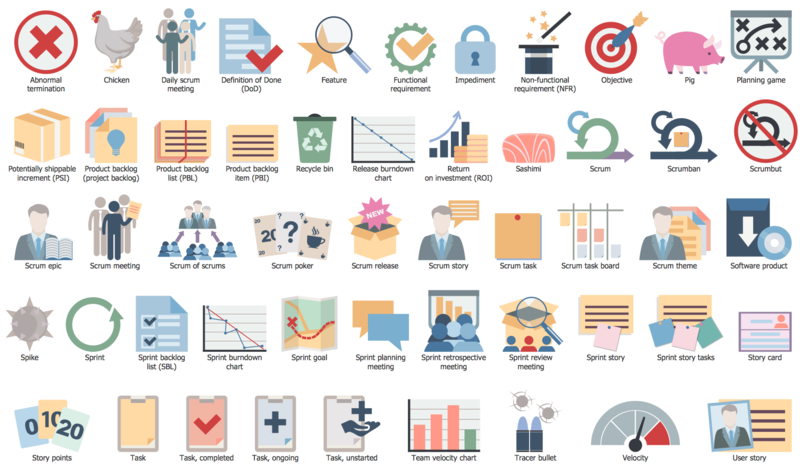 Use the SCRUM Workflow Solution for ConceptDraw DIAGRAM software to create your own professional looking Scrum diagrams, illustrations and infographics of any complexity quick, easy and effective. 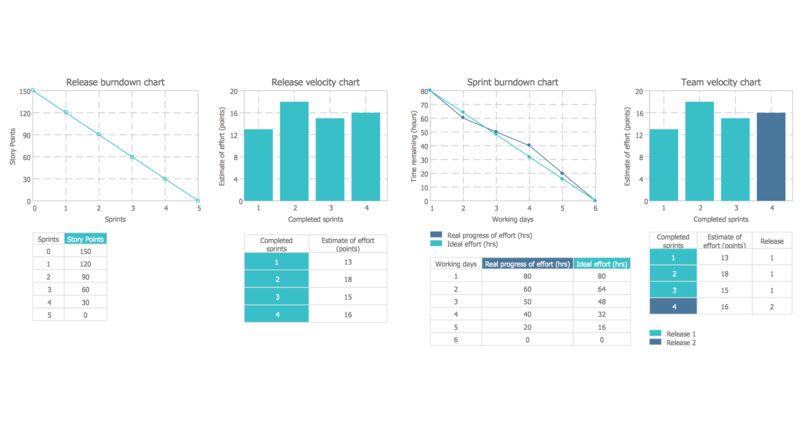 Agile methodology is an excellent alternative to waterfall and traditional sequential development. 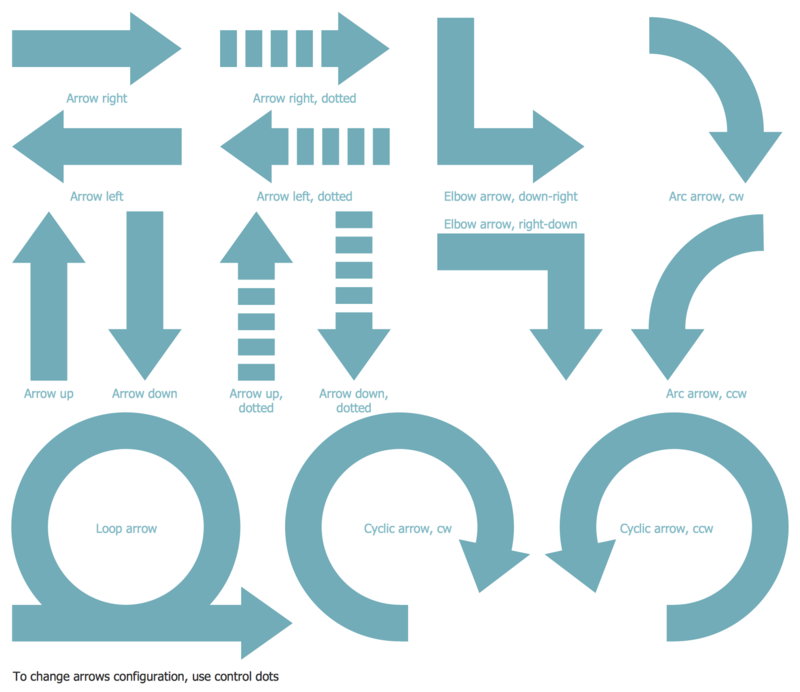 ConceptDraw DIAGRAM v12 software extended with SCRUM Workflow solution is ideal for quick and easy designing various diagrams, charts, mind maps and schematics illustrating software development using Agile methodologies, and in particular Scrum methodology.